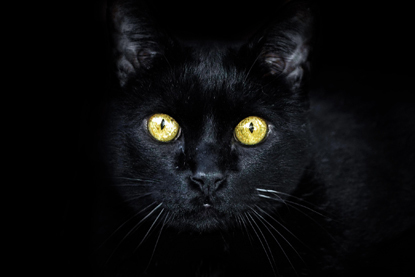 Like us, cats can’t see in the dark when there is absolutely no light available. However, they do have better vision than we do in low light conditions, such as on a moonlit night. This is because they have more receptors in their eyes called rods, which are sensitive to light, helping them to see six to eight times better than we can in the dark. Their pupils also expand wider than ours, allowing more light into the eye. Human eyes have three types of colour receptors called cones, which allow us to see the whole rainbow of colours. Cats have fewer cones, and only have two types, which means that the colours red and green appear to them as shades of grey. They are much better at seeing blue and yellow shades, but rely more on brightness than colour when viewing the world. 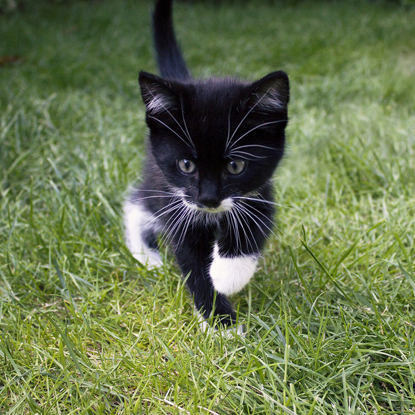 One of the reasons cats are such good hunters is because their eyes are much more sensitive to movement than our own. They can detect objects moving at speeds of up to four millimetres per second, helping them to locate and pounce on quick-moving toys with ease. Moggies lack the muscles needed to change the shape of their eyes, which means they struggle to focus on objects that are close to them. 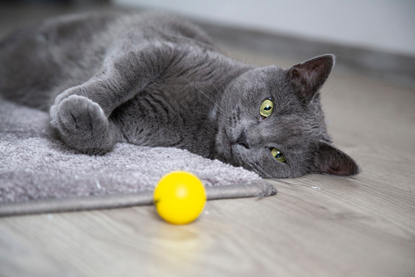 Therefore, if you place a toy right in front of your cat’s nose, they won’t be able to see it clearly and will instead use their sensitive whiskers to detect it. They’re not particularly good at seeing things far away either though. 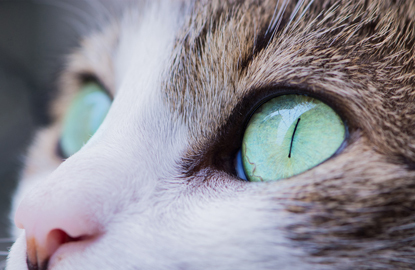 Our vision is sharpest when viewing objects that are between 100 to 200 feet (30 to 60 metres) away, but cats need to be no more than 20 feet (six metres) away to see an object clearly. They only have a very small range of sharp middle vision. 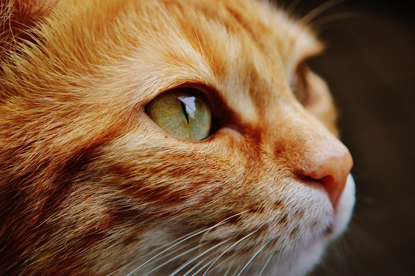 Cats have a wider field of view than we do, helping them to spot any threats or objects of interest approaching from the side. They can see 200 degrees (30 degrees on each side) compared to our 180 degrees (20 degrees on each side).